Dr Graham Stokes has been providing dental implants for over ten years. He obtained the Diploma in Implant Dentistry from the Royal College of Surgeons in 2009. 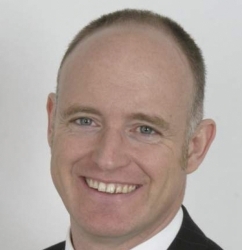 Dr Stokes lectures widely all over the UK on implants, full dentures and treatment planning. He has been based in Bromsgrove since 1991 and is the clinical lead at the practice. Graham is also a special adviser to the dental charity Bridge2aid. For patients enquiring about implant treatment via this website, Dr Graham Stokes offers a free preliminary consultation. This appointment does not include a clinical examination and it only takes 15 minutes. Please use the button in the right hand column to request an appointment. Once you have decided in principle that you want implant treatment, the next step is a clinical consultation. This includes a comprehensive oral examination and production of a fully-costed individual plan for your treatment. The fee for the clinical assessment and treatment plan is £95 including X-rays. The cost of the clinical consultation is refunded when you proceed with the treatment. In addition to implant and restorative referrals our practice also offers referral services for endodontics, intravenous sedation and complete and partial dentures, made to recreate your natural smile. At LHDP we believe in working closely with all our referring dentists to ensure their patients receive the best level of care. All your patients will receive a full treatment plan, a copy of which will be always provided to you. We actively encourage you to come and be present during your patient’s care. Please feel free to contact Graham at any time. LHDP is always happy to mentor and help referring dentists take on the restorative aspects of their patients’ care. We provide regular training and educational events to help you care for your patients. The LHDP Implant and Referral Centre is situated close to the centre of Bromsgrove. It is a well established practice offering implants, full dentures and major restorative treatments. Other services provided within the practice include root fillings and sedation.